Roxane Roth is Senior Associate at the 365 Sherpas Brussels` office. 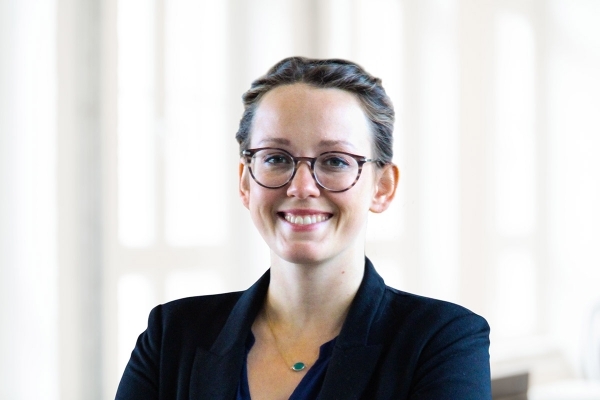 She worked as an event and project manager for the European Network of Renewable Energy Sources (EUFORES) in Brussels for almost three years, before taking up a similar position at EU40 – the European network of young MEPs. After completing her master studies, Roxane Roth did a traineeship at the European Parliament in Brussels followed by an internship in a public affairs agency. She holds a bachelor’s degree in governance and public policy from the University of Passau and a master’s degree in European studies from Maastricht University. In between degrees she worked for a digital advertising agency and as an assistant to a member of the German Bundestag. Roxane Roth speaks German, English, French and Italian. Outside her work at 365 Sherpas, she is on the board of Women Refugee Route and has been coordinating the NGO’s communication for the past 2 years.